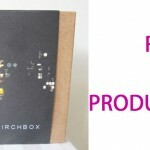 On first glance, this November Birchbox looked pretty good and I was excited to un-pack it’s goodies! But to be honest, I am kind of annoyed with the fact that I generally don’t use 50% of the items in my box because they are something I would truly never use. I don’t know, I go back and forth on this subscription…anybody else? One month is amazing and the next three I don’t even want to blog about. That is the honest truth. 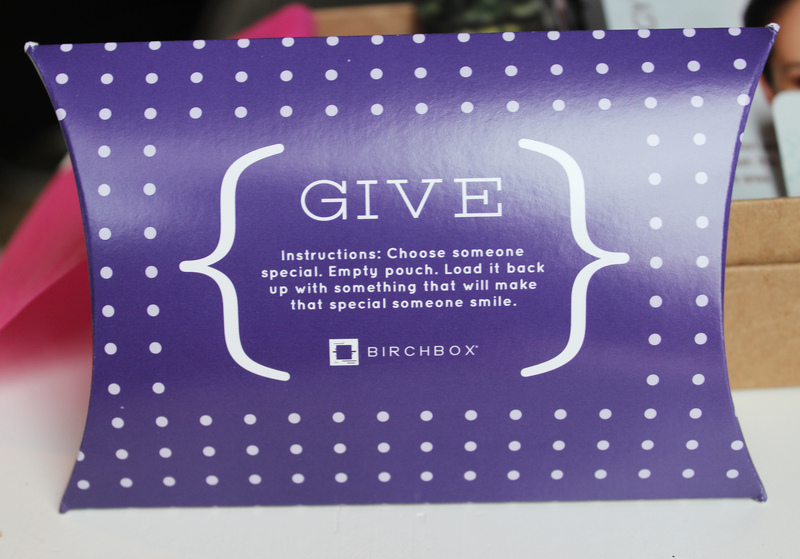 With that said, here is my November Birchbox coming to you a few days into December! 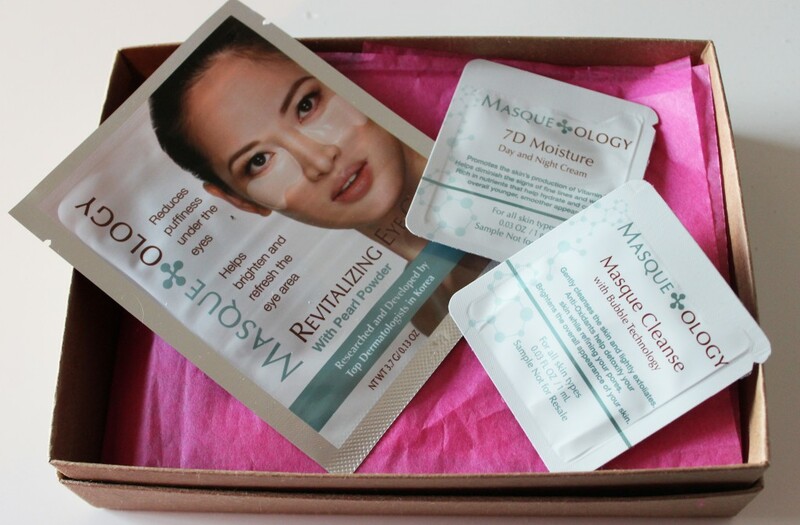 Masque-ology is a brand I have never heard of and have never tried, but anything that has something to help my so-very-tired-and-dark under eyes, sparks an interest. (I have a 7 week old and a 2.5 year old…sleep is a luxury.) So I tried out the Revitalizing Eye Mask ($24.00), and on-contact I imagined the cold and refreshing gel pads (that fit so perfectly to my tired eyes ) would take away my sleepless nights immediately. But literally while I was 5 minuets into the recommended 20 minuet wait, my daughter started crying and the pads started slipping down my face because I wasn’t lying down etc. etc…you get the picture. But if I could afford the 20 minuet wait time, I would totally buy these…but I don’t. I do however need to give an applause to the Masqueology Masque Cleanse ($32.00), it gave my skin the best cleanse of its life! If you like to have that sudsed up feel, this is the right product for you. It also has pomegranate and vitamin E in it, both so beneficial to the skin and non stripping. But while I have totally become friends with these two products (well, for the most part), I have to say no to the Masqueology 7 Moisture Cream ($68.00). Not because it’s not a great product…I am sure it it, It’s just that you can’t get a good feel for a moisturizer off of the smallest sample in the world. 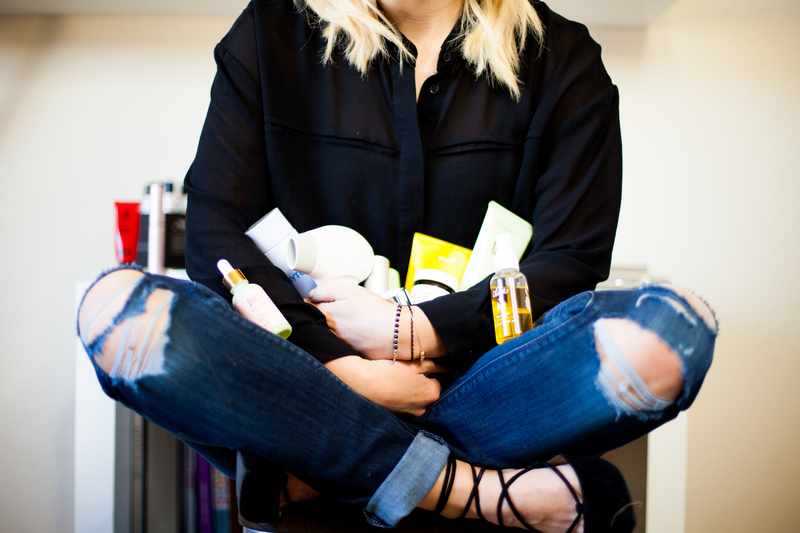 With winter upon us, dry skin is usually on us too (unfortunately), which means unless you like the feel of itchy skin, indulging in a good body cream is-a-must. 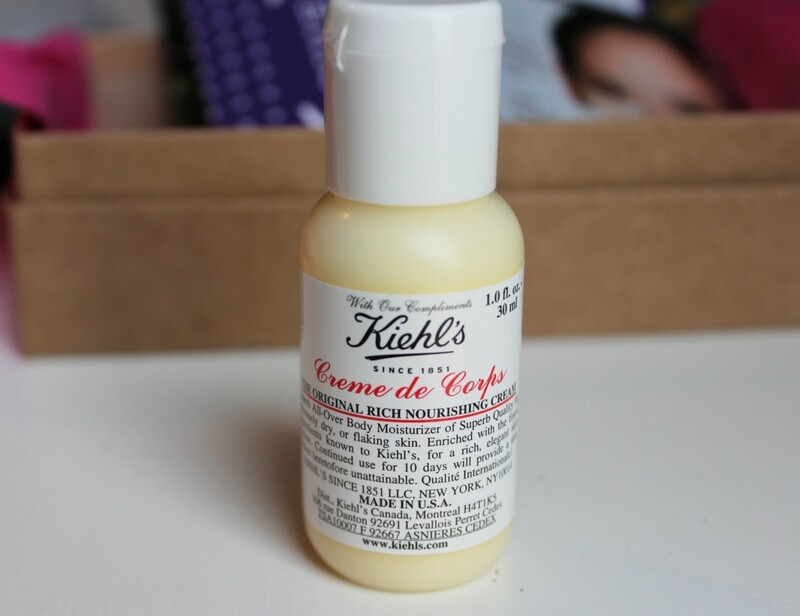 So if you need a good one and maybe aren’t too keen on having something that smells like something, or perhaps your skin is too sensitive to fragrance, the Kiehl’s Creme de Corps ($18.00) nourishing cream might just be something you would appreciate. I like thing’s with a scent though…so I am opting out on a larger purchase of this. 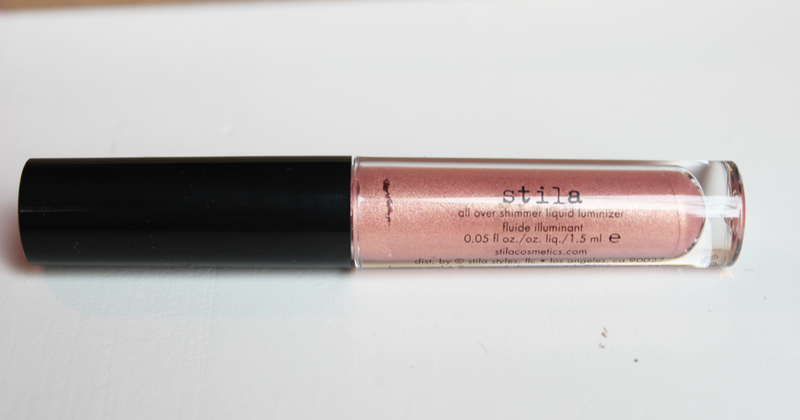 If you are wanting that J-Lo glow to your skin, the Stila all over body shimmer liquid ($20.00) might just be your best option, I love this stuff! 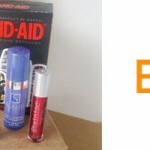 At first I had a blonde moment (I can say that because I am naturally a blonde), and thought it was lipgloss which left me with funky looking lips and a bit of disappointment. Then I actually did what most people do and read what the product really was (not a lipgloss), an all over body shimmer liquid luminizer. 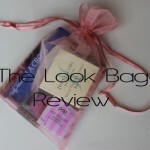 This product reminded me so much of a Chanel luminzer that I use mostly on brides that is no longer available. So at a fraction of the price, I think I will make a full purchase of this item! 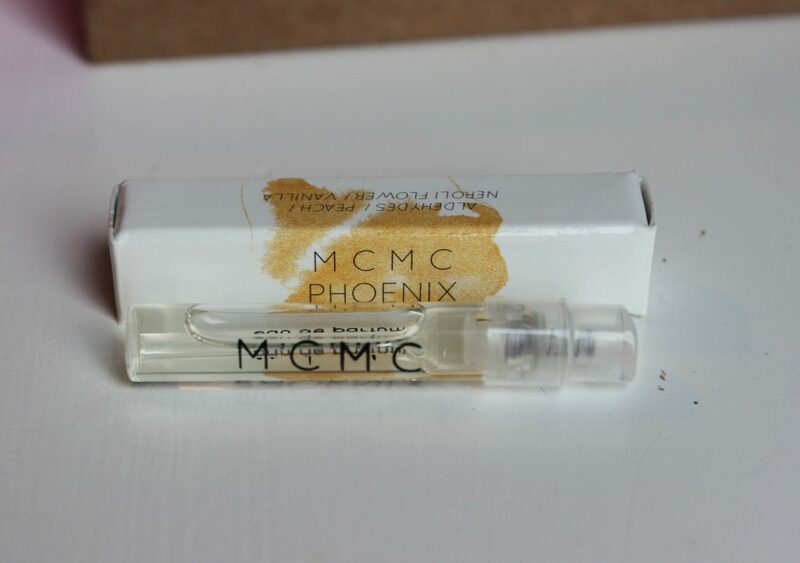 Yummm, the MCMC Fragrance Phoenix Perfume Oil ($45.00) de-lic-ious. I love how when you first apply it, the vanilla notes stand out, and then there are little happy surpirses that float to the top like the Neroli flower scent and the hint of orange tree blossom. This perfume is not overwhelming, even my grandpa (who can’t stand any fragrance on anyone) I am sure would like it. Maybe. In junior high, I was one of those drama queens and every parents nightmare. I can recall getting a friendship ball that you place something cool inside of and then you basically pay it forward to another person/friend. Well one day, me and my poor friend got into a fight for the 100th time and I gave it back to her to indicate that we were no-longer-friends. (Oh..if life were still that simple.) So that is what this little box reminds me of and it’s a cute idea ,but I have to admit, it went into the trash. Sorry friendship GIVE box…I failed you. There were three items that I was really happy with, but I wish some of them were larger samples. Maybe I am just asking for too much, but I know of other Sample services that give you way bigger sizes. 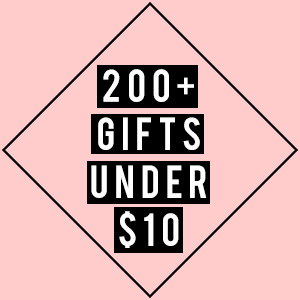 So heres a “nod” to the December box, maybe you will be full of Christmas surprises. 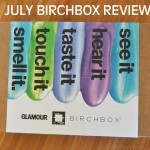 If you would like to purchase the Birchbox Subscription: Here is a link and yes I do get credit when you sign up. Just sayin.